November 10th, 2016, Mom called me while I was at work. The country was in a state of emergency. A tyrannical sycophant had been elected to the highest office of power in the world. Everything that made sense turned upside down. Those that defined themselves by their faux-morality rejoiced for a leader who championed forced-exiles, scientific ignorance, religious persecution, gender inequality, sexual abuse, and any number of phobias related to discrimination. The rest of us, who had never needed nor wanted to claim morality, started planning our rebellions, promised to protect our unprivileged friends and family, and found our voices for the first time in the coming waves of persecution. But some of us wept. We wept because human progress had finally come to a halt, because we knew we couldn’t protect those we loved from the approaching hate or hurt, and because ignorance had won. My mother wept on that phone call. She wept with the rest of the world who also pained, but she also wept for me too — because I was the son of an Iranian and she didn’t know if she could protect anymore. On December 13th, 1954 in Omaha, Nebraska, Marlene Nerad was born into a German-Polish family that would total with 6 kids between a single pair of parents. Though only 10 during the Civil Rights movement and 13 when biracial marriage became nationally permissible, she could never have imagined the role she would play in shaping my views for racial equality. After all, she was white — her family was white. To this day, most of her immediate family from that era continue to fight for the white privilege, often citing Christian morality as an excuse for their claim on supremacy. I know, because I’ve struggled to leave debates with some of them in the past. Her own mother, my grandmother, was just one example of a person who preferred the company of her white grandchildren than me or my younger brother. But Marlene was different — she was a tomboy, never setting out to be a housewife. For instance, she had started two businesses of her own and invested money into burgeoning tech enterprises. And when it came to marrying, she was fixing to do that however she wanted too. 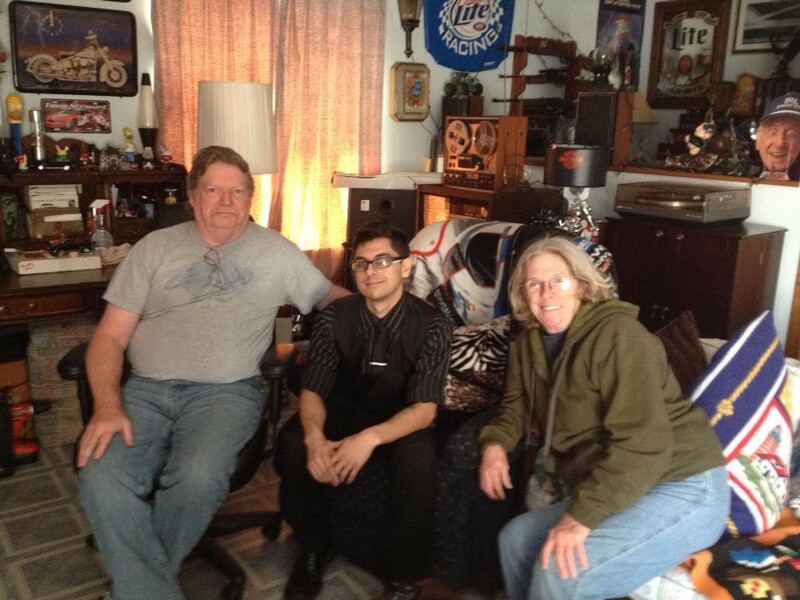 Amir and Marlene Riahi, opening her first business together. At Illinois Valley Community College, she met an Iranian immigrant named Amir Riahi in her engineering class. Despite his thick accent, he tried to swoon her in the school cafeteria, and perhaps with a little reluctance, they started dating and fell in love. She had already had a son, Thomas, from a previous relationship, so they both came in with a little baggage, but it didn’t prevent them from marrying in 1981. They barely made enough to survive while Dad studied for his engineering degree, but they had kids anyway. I was born in 1986. Then in 1987, my younger brother, Bobak, came into the world. They moved around between Illinois and New Jersey, but finally settled in a large Chicago suburb, Aurora, where I would have my first memories in a mostly-white community a stone’s throw from one of Chicago’s wealthiest suburbs. 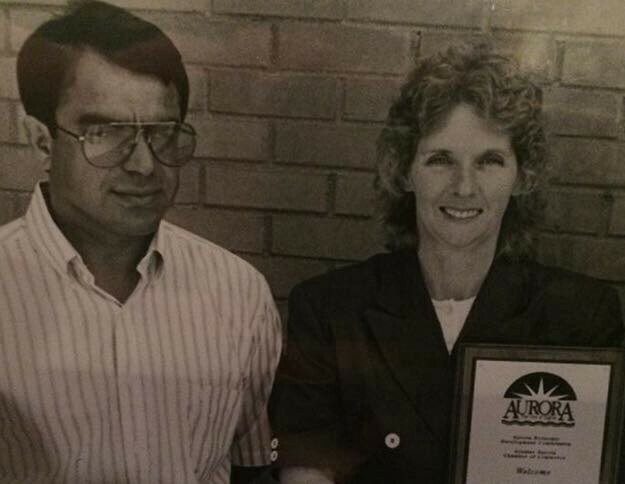 My Dad became an engineer for the city and Mom saw her first business opportunities in trying to flip properties for greater value. They used to drag us out to the the middle of nowhere in Illinois, Michigan, or Wisconsin — where was close enough that Dad could still drive down to Aurora for work while they rebuilt a home for us. Later on, she even started her own bakery, and my dad whole-heartedly supported her, picking her up from baking school and helping her make her early-morning deliveries. 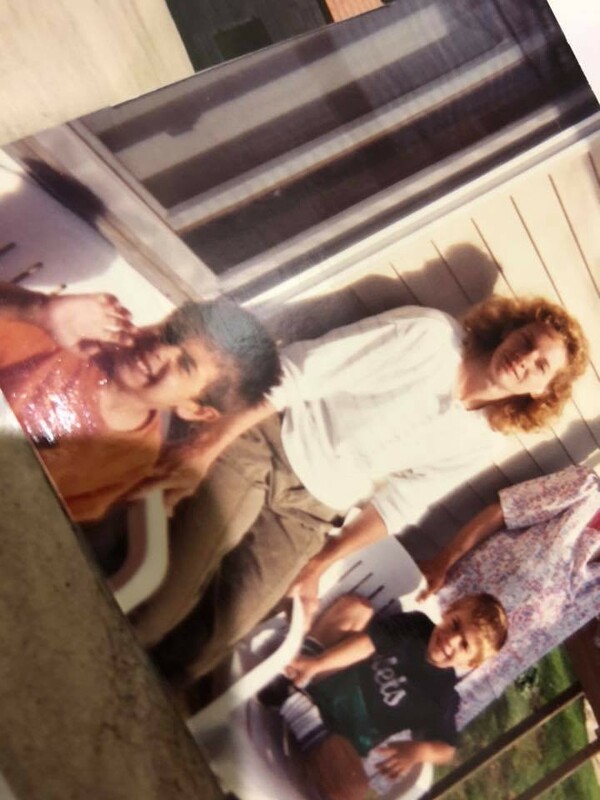 No matter where we lived though, me and Bobak were bi-racial people of color and that made my mom protective against the forces of hate in the world. My parents agreed to give us names that could be shortened, in case we found ourselves in situations where we needed to hide our cultural identities. 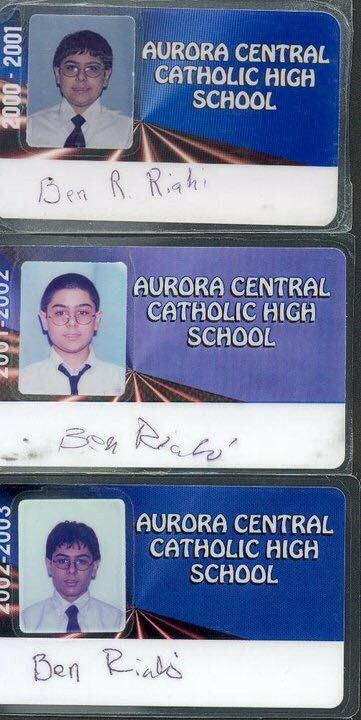 Behnam could become Ben, Bobak could become Bobby. For the very same reason, we were raised to be protestant Christians, and later on, enrolled in private schools. For my parents, it was important that we experience our culture, like Dad teaching us the occasional word in farsi or celebrating Nowruz as a family or Mom cooking gormeh sabzi with tahdig and mast o’khiar as often as other kids ate spaghetti and meatballs. In my youth, Persians were considered white due to previous government legislation, in spite of our obvious physical differences, so Mom often insisted that I was white, to make me feel like I could be like anyone else in the suburban and rural environments that we called home. There wasn’t anyone else out there quite like me or my brother or my dad, so she endeavored to protect us from anyone who would question our right to be there. My dad died on August 31st, 1999. He was out of the country — and like how her family didn’t care for him, his family didn’t care for her. Conflict started from the get-go, after they refused to return him to the country to give him a proper funeral service. For my mother, she realized it was only the beginning of changes to come between our cultures. It was only two years later that two planes struck the World Trade Center in New York. I remember that day quite clearly — when my mother gasped as she had heard about it on the radio. I didn’t even know what the World Trade Center was, let alone why it was relevant. It’s not like I was a stranger to acts of terrorism — in my life already, I’d watched the Unabomber, the Oklahoma City Bombing, and the Columbine Massacre on the news. These were acts committed by the most evil people in all the country — but I think my mom saw 9/11 for what it was, and how it could hurt me. Nobody even bothered to identify me as a Middle Easterner before then. They just thought I was different. I learned quickly to associate that identity with shame though, which was something I wouldn’t overcome until I learned to own it. On the day of the attack, she asked me and my brother if we would want to change our names, so that we could pass for white. Her ability to protect us was growing strained, but she insisted on trying. A lot of conflicts between her and I came and went in my teenage years and early twenties, when it seemed like she had become too overcome to handle being a single parent and I had grown astray in my own search for identity. It was eons before I realized to what sacrifices she made to protect me and my brother from hurt, including the racial division growing in this country. But as time passed, I often found myself in her small home in my late twenties, watching Forensic Files while her and I gossiped about the white girls that my brothers had become infatuated with. I think she knew from the onset that I would become a man divided by two cultures, but she did everything in her power to protect me from never having the opportunity to define myself. My peace was always her priority, even in times where it was too much for her to bear, like when I left for Chicago and gallivanted on to New York or Paris or Vegas or wherever my heart drove me. She often chastised me for not calling her every weekend or visiting enough, and she encouraged me to settle down with a girl, so that I may find the comfort she knew with my father, and later on, with her loving partner, Greg. But having forged me into the man I would be, I think she also hoped I would be the loudest voice of all in a world where neither of us were ever truly accepted. This was the our last photo together. Greg’s there too. Marlene died on November 8th, 2018, at the age of 63. I was with her until the end, holding her hand through pain that she had neglected for a long time. I wrote this in memoriam to her though — I could sit here and blame cuts to Medicaid and Medicare for her not seeking treatment earlier or wring my hands in anger at all of her bigoted family members that will worm their way out of the word-work to throw a pity party for themselves. But I don’t think anyone actually knew her the way we did. She was warm and caring, and similar to me she didn’t want to make her problems anyone else’s. But she was also a fighter — even when the weight of the world became too heavy to practice integrity, she knew she could lean on me for it. After all, I learned from the best. I’m writing this as a prayer to her. I’ll keep on fighting to protect others and fight hate the way that you did, Mom. Though I’m full of hurt and pain and anger still, I’ll use it to pave a road for your grandchildren and ensure freedom to love for all. I’m also so grateful for 32 years with you — if we all loved the way you did, there would be no division. So let’s fight. We’ve still got a long way to go. I love you, Mom. You’re with Dad now. I promise you — I’ll pick up the fight where you left off. 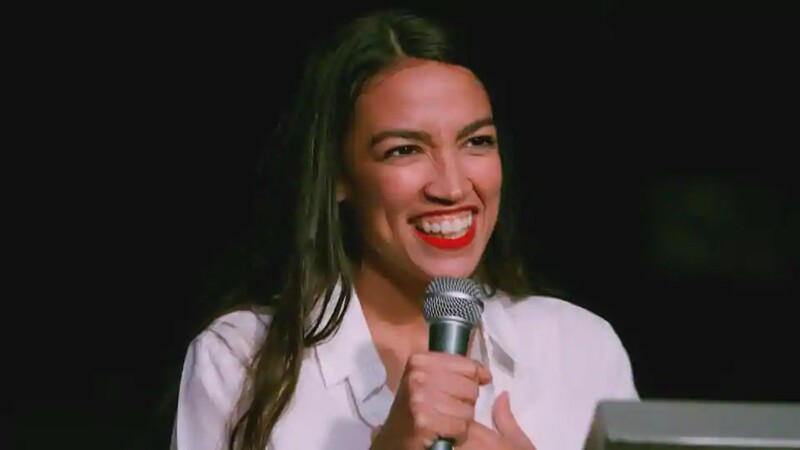 Ocasio-Cortez, youngest woman elected to congress. Mom loved voting. She always encouraged me to. I don’t know that she got a chance the vote — even less than that, I don’t know that she got to see the amazing strides we made, with the first Islamic and American Indian women and gays being elected to congress, in addition to a bunch of socialists. If ever you wondered if your vote mattered, I believe now it’s apparent that it does. We have to work together to create a better future. Truly, she would be so proud of what we accomplished. But this is only the beginning — we still have a long road ahead of us to protect all Americans and those who wish to find peace here. In Chicago, we have a citywide election coming next year. And the year after, we have a presidential election. If you’re like my mom, you’ll join me and making this a better country for all women or all people of different sexual orientations and all people of color. Let me be the first to say that I will stand with you at the polls. If you ever need to know your polling places, information on the candidates, and what you can do to support your them, let me know. I got your back. We will make this the country that my mother endured for.